Politics • LDS influence comes primarily from lawmakers' own views, not church lobbying. Steve Griffin | The Salt Lake Tribune The capitol building in Salt Lake City, Utah Friday, January 20, 2012. 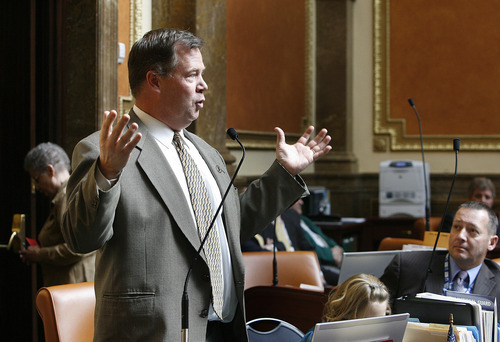 Scott Sommerdorf | Tribune file photo Rep. Eric Hutchings, R-Kearns, who is LDS, says, "In all my time serving the Legislature, I have never once been approached by anyone from the LDS Church on any bill, or any other legislative issue. Literally. Not once." 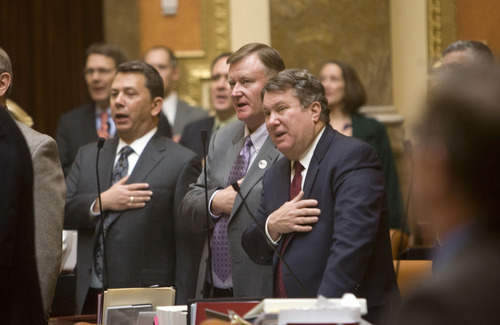 Al Hartmann | The Salt Lake Tribune Reps. Stephen Sandstrom, left, Evan Vickers and LaVar Christensen recite Pledge of Allegiance during opening session Jan. 23. Scott Sommerdorf | The Salt Lake Tribune Members of the Utah Rural Caucus, including Rep. R. Curt Webb, R-Logan, center, and Rep. Mike Noel, R-Kanab, right, listen to former lobbyist Jack Abramoff Feb. 24, 2012. 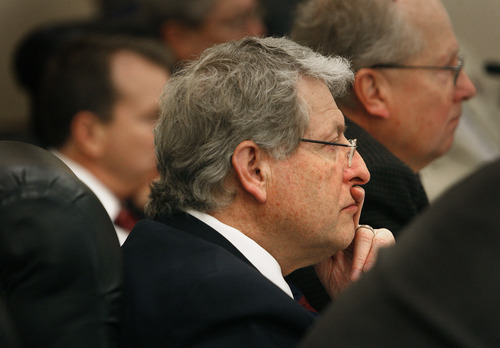 Tribune file photo Rep. Christine Watkins, D-Price Scott Sommerdorf | The Salt Lake Tribune Rep. Brad Daw, R-Orem, listens to Congressman Rob Bishop, R-Utah, as he addressed the Utah House of Representatives Feb. 23, 2012. At the top, Reps. Michael Morley, R-Spanish Fork, and Mike Noel, R-Kanab. 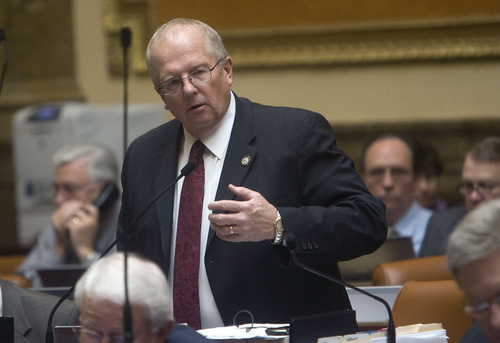 Trent Nelson | The Salt Lake Tribune Rep. Fred Cox, R-West Valley City, says he tried to contact LDS leaders after the session to clarify where the church stood on the same bill. "They wouldn't return my emails or phone calls but did eventually send out an updated statement that did help some with civility on immigration." Scott Sommerdorf | Tribune File Photo Senator Wayne Niederhauser, R-Sandy. 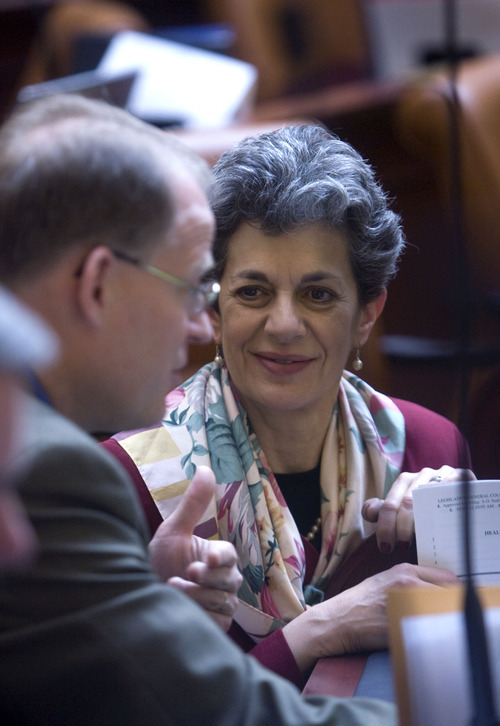 Al Hartmann | The Salt Lake Tribune Rep. Patrice Arent, D-Millcreek, who is Jewish, says, "Sometimes, LDS legislators are more concerned about the position of conservative groups like the Eagle Forum than the position of the LDS Church, when the church position is considered more 'moderate.' 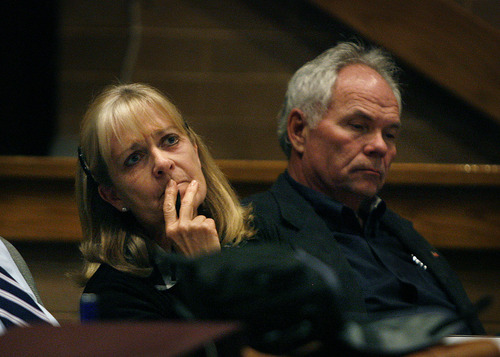 " Tribune file photo Rep. Mike Noel, R-Kanab File photo | The Salt Lake Tribune Rep. Stephen Sandstrom, R-Orem. 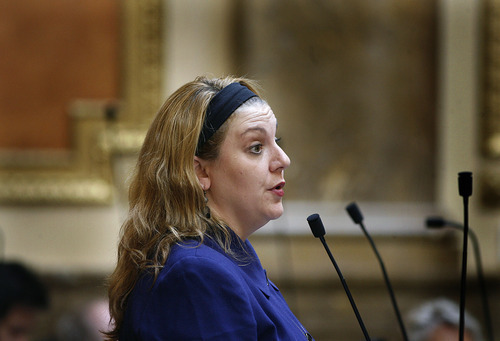 Scott Sommerdorf | Tribune file photo House Minority Whip Jennifer Seelig, D-Salt Lake, a Methodist, sees a difference between religious influence in Utah politics versus the Bible Belt, where she grew up. "In comparison to Kentucky, the LDS Church is not that directly active in politics," she says. 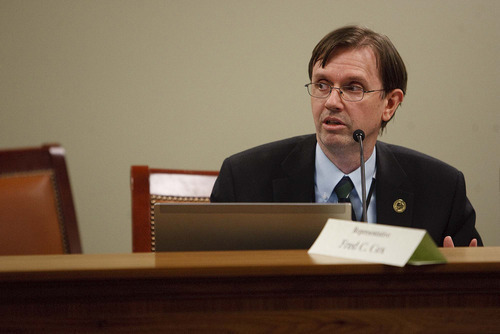 Francisco Kjolseth | Tribune file photo Rep. Keith Grover, R-Provo, who has served in LDS bishoprics, says "members of the Legislature follow the tenets of their religion, regardless of what the religion is. My religious beliefs are part of who I am, and those definitely factor in when I am deciding how to cast my vote." 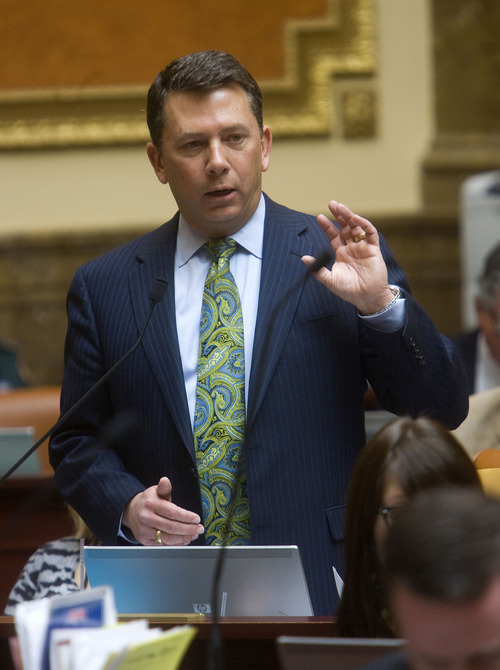 Rick Egan | The Salt Lake Tribune Senate Minority Leader Ross Romero, D-Salt Lake City, a Catholic, says "it's challenging, but I realize that, at the end of the day, I have to get enough votes to pass a bill, and it will have to reflect the wishes and values of the majority." 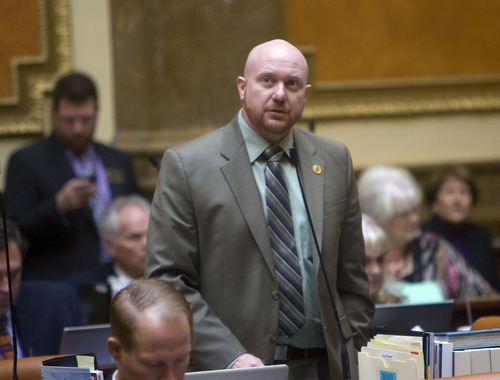 Al Hartmann | The Salt Lake Tribune New Rep. Brad Doughty speaks on the House floor Jan. 25. Doughty says he discovered the LDS Church is "very involved" in alcohol regulations when he ran a bill to require that the Utah Liquor Commission include some drinkers. That Mormon influence, lawmakers say, does not generally come from edicts over the pulpit or through lobbying in the halls of the Capitol. Instead, it comes indirectly  mainly through legislators' own religious views. After all, most elected officials here are Latter-day Saints who vote based on values instilled in them as Mormons  and even non-LDS officials try to reflect the will of constituents who are overwhelmingly Mormon. 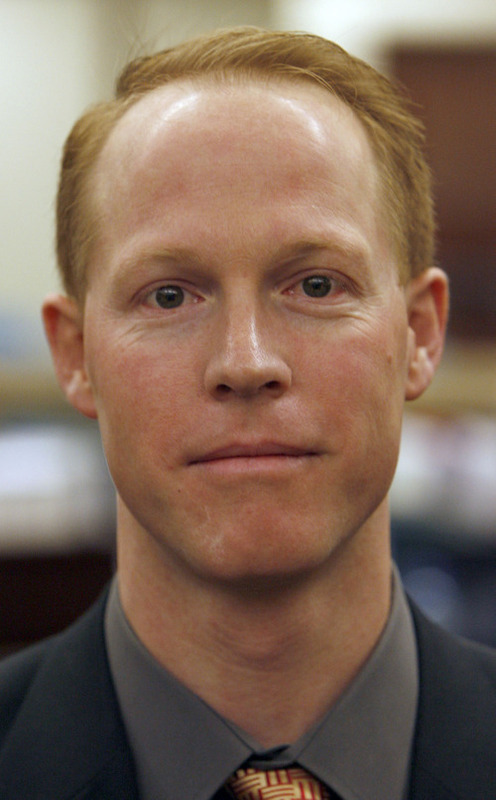 But lawmakers concede that the state's predominant faith is directly involved on a few select issues, such as immigration, alcohol, gambling and gay rights  and a nod of approval from the LDS hierarchy is usually needed for bills affecting those areas to proceed, according to a questionnaire sent to legislators by The Salt Lake Tribune. "People should understand that on a few occasions, the LDS Church does give input on issues. But that is all, and I am always told to vote my conscience and represent my constituents," says Rep. Stephen Sandstrom, R-Orem. "The myth that they tell you how to vote is just that  a myth." Lobbying rare • Most, but not all, respondents say they have never been lobbied by the LDS Church. Shared values • Many Utah legislators argue that the LDS Church does not need to send formal directions, since most lawmakers are Mormons and share the faith's guiding ideals. When the church lobbies • Several lawmakers say the church does lobby on a few issues, such as alcohol, immigration, gambling and gay rights. 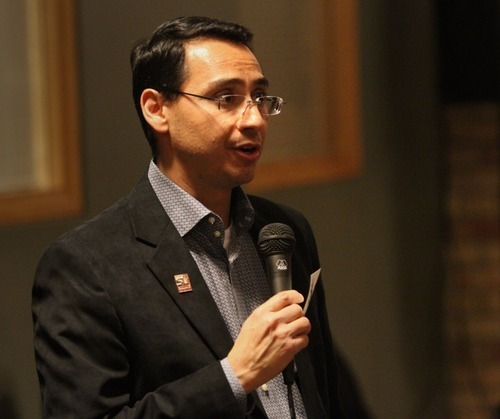 Romero recalls he once pushed the LDS Church to get more involved  on immigration  and it did. He says Bishop John C. Wester of the Salt Lake City Catholic Diocese had become a leading national advocate for compassion and humane treatment of undocumented workers. So he urged Mormon leaders to make their position known  and provided a memo outlining his own feelings. He was pleased to see that when the LDS Church supported the so-called Utah Compact on immigration that its statements were close to many of his own views. 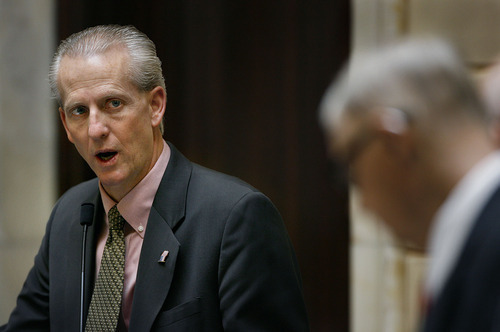 Similarly, Rep. Fred Cox, R-West Valley City, says he tried to contact LDS leaders after the session to clarify where the church stood on the same bill. "They wouldn't return my emails or phone calls but did eventually send out an updated statement that did help some with civility on immigration." Fake claims • Legislators report that sometimes colleagues or other groups claim support or opposition from the LDS Church that does not really exist  except perhaps in someone's own mind ­as ways to advance or kill bills. 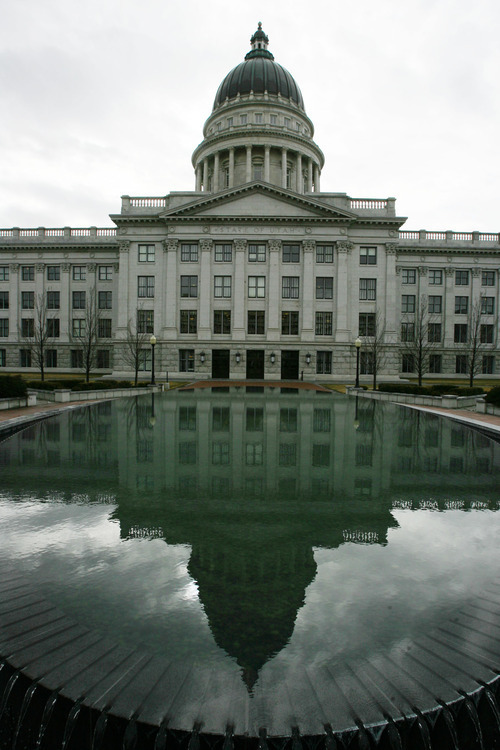 'Big tent' • Although legislators say LDS politicians bring plenty of Mormon influence even though LDS lobbying is relatively rare, they also say wide disagreement remains among Mormons on key issues  and finding one church position on any issue is rare. 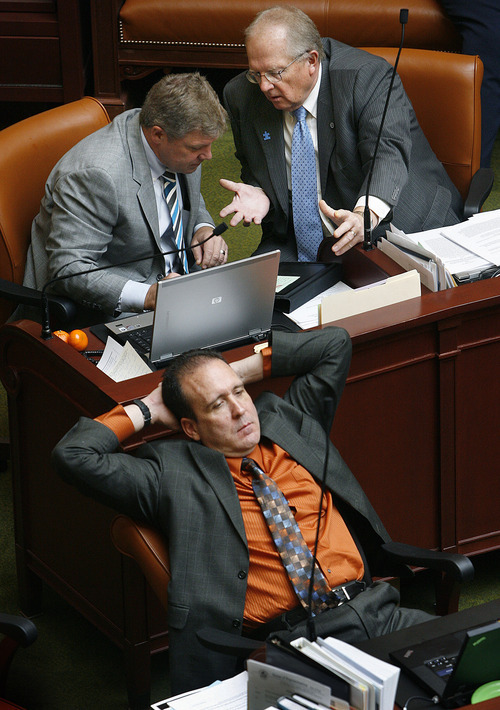 O To read excerpts from The Salt Lake Tribune's survey of Utah lawmakers, go to › http://bit.ly/GBcz94.